With extensive knowledge of the Draytek products range these routers with built in packet inspection firewall would be the perfect fit into your network. These DSL routers provide failover WAN connections to ensure that your connection never fails. Depending on the requirement the correct product can be selected whether you require one backup line or multiple. We can supply routers for use with any type of connection should it be BT ADSL or Leased Line, C&W, Virgin Media and even BT Infinity 2. Virtual Private Networks have become a regular requirement these days as more and more people are finding themselves working from home and out of office hours. Using the Draytek product range we can setup a VPN from multiple sites for a complete LAN 2 LAN VPN solution using secure tunnels. We can provide PPTP, L2TP, IPSEC protocol support using MD-5 & SHA-1 Authentication and MPPE, DES/3DES & AES Encryption for a secure reliable VPN solution. Other manufacturers can be used if preferred and these include Netgear, D-Link, Cisco etc. it really does depend on your requirements on what product we use. 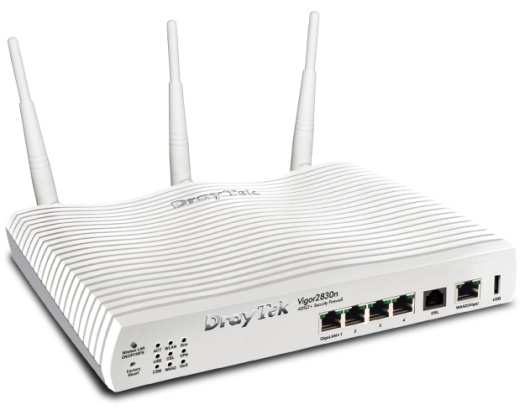 If you have an existing Router and require a firewall solution only then this can be arranged, we can use a Draytek product line or an alternative Firewall Solution. A full evaluation of the network will need to be completed in order to tailor the Firewall. Once in place any new rules or modifications can be added locally or remotely.